Lesotho Prime Minister Thabane’s Office Bugged. Tracking devices also found on PM’s wife’s official vehicles. HIDDEN electronic surveillance equipment has been discovered in Prime Minister Thomas Thabane’s office, with some of the devices having been planted under his desk and near his landline telephone, the Lesotho Times has learnt. Sources close the matter say tracking devices were also found on the official vehicles for Dr Thabane’s wife – ‘MaIsiah Thabane – of which the premier’s security detail were not aware. The sources also said staff at the prime minister’s Qhobosheaneng Complex-based office in Maseru discovered on Monday that the biometric scanner, which is located at the entrance to check people wanting to meet Dr Thabane as a security measure, was also not functioning. Dr Thabane’s Press Attaché, Thabo Thakalekoala, told this publication yesterday the premier remained “unshaken” by the discovery although he was concerned about his security. He also stressed the sensitivity of the matter, saying information about the premier’s security should not be made public. “It is true that there were bugging devices found in the prime minister’s office and we are deeply disappointed and furious as the Office of the Prime Minister that the information regarding this sensitive matter has been leaked,” Mr Thakalekoala said. He said a statement on the matter would soon be issued, and appealed to the nation to remain calm. “There is no need to panic because the situation remains under control as far as the PM and his family’s security are concerned,” added Mr Thakalekoala. The extraordinary development comes in the wake of a concerted restructuring of the security sector by the Dr Thabane-led four-party coalition government since its inauguration last month. Dr Thabane’s All Basotho Convention formed a coalition government with the Alliance of Democrats, Basotho National Party and Reformed Congress of Lesotho after the 3 June 2017 parliamentary elections resulted in a hung parliament. They ousted a seven-party coalition government led by former premier Pakalitha Mosisili which had been inaugurated on 17 March 2015. Earlier this month, Dr Thabane ended the tenure of Colonel Tumo Lekhooa as National Security Service director-general and dispatched him to his old job as Director of Military Intelligence at the Lesotho Defence Force (LDF). Dr Thabane also sent Lesotho Mounted Police Service Commissioner Molahlehi Letsoepa on an involuntary 90-day leave and issued the top cop a “show cause” letter for why he should not be dismissed this week. Lesotho Correctional Service Commissioner, ‘Matefo Makhalemele, was also been sent on a 57-day forced leave last week. The restructuring, which has also seen the dismissal of Government Secretary Lebohang Ramohlanka and the sending of principal secretaries appointed by the previous regime on a 40-day leave – pending the termination of their contracts – is part of a strategy to consolidate power. Ahead of last month’s elections, Dr Mosisili was accused of deploying family members and allies to strategic areas so that he could “rule from the grave”, referring to retaining power even after leaving office. Political scientist, Kopano Makoa, told this publication an urgent investigation into the matter was needed to nip any security loopholes in the bud. Prof Makoa said the security agencies – particularly the LDF – were likely to be the first suspects given Dr Thabane’s frayed relations with the agency. 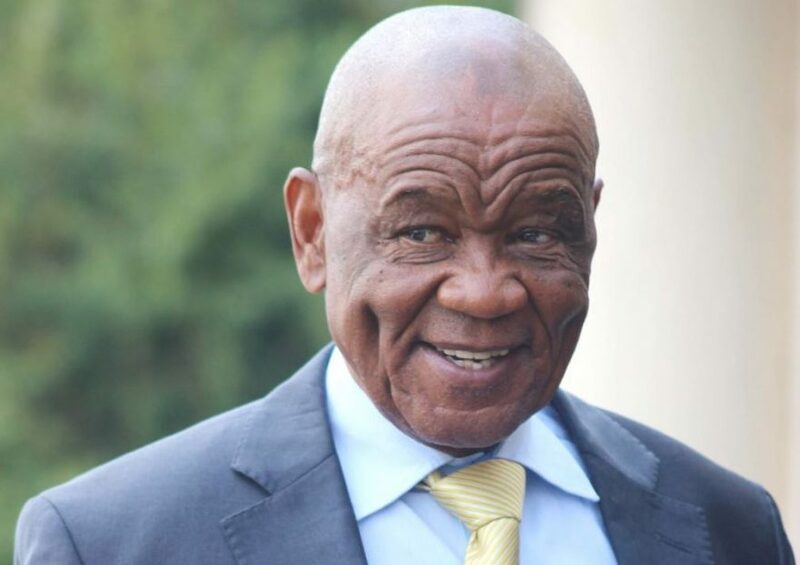 Before his 12 February 2017 return to Lesotho, Dr Thabane had fled to South Africa on 11 May 2015, after alleging an LDF plot to assassinate him for falling out with its command while he was premier. He also fled the country on 28 August 2014, during his first tenure as prime minister, claiming some LDF members were out to kill him and topple his government. However, the LDF has vehemently denied the allegations. “It is an open secret that the soldiers are hostile towards this government,” Prof Makoa said. He said Defence and National Security Minister Sentje Lebona needed to conduct a thorough investigation of the matter to ensure the premier’s safety. “This issue needs to be taken seriously and investigated urgently because it is a security problem. Efforts to contact Mr Lebona were fruitless yesterday as his phone was continuously unavailable. LDF spokesperson, Brigadier Ntlele Ntoi, yesterday rubbished claims that the army or any other security agency might be involved in the bugging. “One thing I can assure you is that the military is there to provide security to the nation in general and to our clients,” he said.